This clip of the late Linkin Park singer recording recently shows what an amazing talent he was. The world is still reeling from the news that Linkin Park’s Chester Bennington has died, aged 41. It was confirmed that the musician appeared to have committed suicide by hanging at a private residence in Los Angeles on Thursday (20 July). It would have been the birthday of his friend Chris Cornell, who also took his own life, back in May this year. This video shows Bennington in the studio in 2016, recording the vocals to the song Heavy, which was featured on their seventh album One More Light. The single featured a duet between Bennington and pop star Kiiara. 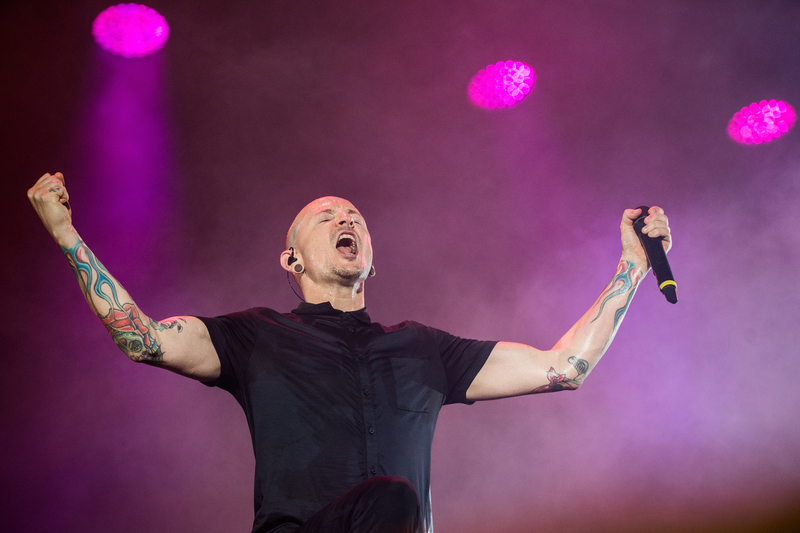 Chester’s vocal is simply spine-chilling, stripped back and honest. The singer and songwriter with the US band battled with drink and drugs over the years and he had started writing lyrics and poetry to cope with sexual abuse that took place in his childhood. He told The Guardian in 2011: "I remember that stuff happening to me at that stage and even thinking about it now makes me want to cry. My God, no wonder I became a drug addict. No wonder I just went completely insane for a little while." The pain and anguish found their way into his lyrics, and it was this brutal honesty that made the band’s music so appealing to millions.